I was contacted by a Vet seeking to readjudicate an old award pre-Bradley that entailed the same or similar circumstances. To review, Bradley was awarded TDIU for one, single disability as the predicate for the total disability rating. Nevertheless, he had additional ratings that added up to 60% (or more) which ostensibly entitled him to VA’s Special Monthly Compensation ‘S’ worth about $300+ back then. He took Kenny the Carpenter up to the Fed. Circus and finally made VA read 38 USC §1114(s) exactly as it was written-not the way Dr. Peake insisted it was intended. Jim Buie did much the same and refined it further by adding up his disabilities not in the order received, but in the amount of percentages. Once one rating was granted at totally disabling (100% schedular), he merely moved the old, less-than 100% TDIU rating over into the SMC column to attain his SMC-S. VA doesn’t cotton to you playing their 3 card Monte game as they do. They fought him long and hard but to no avail. Importantly, though, I came across a little-known panel decision from 2006 that illuminates another old ploy of VA’s to deny us “substantially housebound” status which I am currently seeking. It, too, was repped by the Kenster. In a nutshell, VA said I was totally disabled (100%) by a secondary disease (Porphyria Cutanea Tarda) yet they low balled me at 10%. After a DRO review, they zeroed out the DC 7815 Porphyria rating and substituted DC 7704 for 40% for phlebotomies. This was clearly and unmistakably erroneous (CUE). A total disability is just that-total. What Diagnostic Code they choose to use is immaterial. The focus of the argument is twofold. I maintained prior to this that I was “substantially housebound in fact”. I lacked the requisite additional 60% rating or ratings above and beyond the 100% schedular or, in the alternative, a TDIU rating based on one single disability. VA regularly uses an odd means test if you can call it that. Their conceptualization is that if you can make it to the CBOC (community based outpatient clinic) or VAMC without an ambulance, they you must not be very “housebound”. Hell, for all we know, the ambulance is not even a viable excuse. Your mere presence at a VA medical facility argues against the fact that you are at home- ergo you aren’t housebound. Game. Set. Match. As I gave Rick advice on how to combat what I felt was an interesting point of law worthy of review for error, my research led me to Howell v. Nicholson. There I found the argument to defeat these idiotic straw man inventions VA used in 2009 to defeat my request for SMC-S based on a purely “substantially housebound ” reading. SMC-HB benefits will be paid to a veteran who, “by reason of such veteran’s service-connected disability or disabilities, is permanently housebound.” 38 U.S.C. § 1114(s); see also 38 C.F.R. § 3.350(i)(2). The term “permanently housebound” is further defined as being “substantially confined to such veteran’s house . 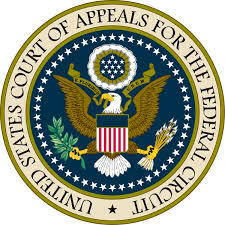 . . or immediate premises due to a service-connected disability or disabilities which it is reasonably certain will remain throughout the veteran’s lifetime.” Id. The term “substantially confined” is not defined by statute or regulation. See id. The Howell court decided to define what ‘substantially’ finally meant here and this was in 2006. You will find that this didn’t percolate down to the VA judicial branch at the OGC or VBA level. It may have but I doubt they take any of this seriously until called out numerous times. Because the meaning of the term “substantially confined” is ambiguous and there is no regulatory interpretation, “the Court must determine the meaning” of the term “and the Board’s obligation” thereunder. Thompson v. Brown, 8 Vet.App. 169, 175 (1995); see also Jackson and Cropper, both supra. The Secretary submits that the clear implication of this term is that the requirement that one be “substantially confined” is met when the claimant is restricted to his house except for medical treatment purposes. The Secretary, citing to Senate Report No. 1745 (June 27, 1960), notes that in passing section 1114(s) Congress intended to provide additional compensation for veterans who were unable to overcome their particular disabilities and leave the house in order to earn an income as opposed to an inability to leave the house at all. Mr. Howell does not contest this interpretation. Having synthesized the essence of the interpretation, the Court proceeds to apply the coup d’ grace on the Veterans Law Judge. Accordingly, we hold that leaving one’s house for medical purposes cannot, by itself, serve as the basis for finding that one is not substantially confined for purposes of SMC-HB benefits, and the Board’s interpretation of section 1114(s) to preclude the grant of SMC benefits on the basis of Mr. Howell’s leaving his house in order to attend VA medical appointments was erroneous as a matter of law. That, fellow Veterans, is your can opener when you get hit with something like this. I have read numerous decisions that cite to the fact that the Veteran was able to attend his/her appointments and thus was free to move about the country. The holding is well-cited and will stand you in good stead when they try to pull the blinders over your eyes. Always remember, Veterans. VA doesn’t know the law any better than your VSO or you. They make stuff up and run with it. If you are lucky enough to catch it or have an astute rainmaker who does, you will prevail. I can’t count how many Vets have come to me over the years and try to quote law to me to show why they lost. If 67% of all VA decisions are overturned, remanded, vacated or set aside for error or incorrect reasons and bases at the CAVC, then the smart money says appeal it. What is remarkable is that only a small number of Vets do so. Go figure. This entry was posted in SMC and tagged ASKNOD BOOK, asknod.org, asknod@wordpress.com, CAvC/COvA Decisions, Disabled Veteran, DIY vA Claims, Gulf War Claims Help, Gulf War Vets Help, Help with vA Claims, Helping Veterans, Korean War Vets Help, Service Connection, VA claims, Veterans Benefits, Veterans claims help, Vietnam Veterans Claims Help.. Bookmark the permalink. A CUE was made on TDIU start date, going back 14 years. This took place on 2/22/18 going back to 5/26/04. SMC (s) was not inferred into the claim because the medical evidence was omitted, Veteran was being seen by two VAMC in IL & IN. When the claim was processed the medical evidence in IL was not looked at, which caused the SMC error. Had a DRO hearing yesterday and the VA has to correct the error. The Bradley vs. Peak case and knowing the law, allowed the law to be upheld in the veterans’ claim. It was an honor to be able to uphold the law for the veteran. I am not an attorney or Dr., but I am an educated woman married to the veteran that remained relentless and did my homework to get the VA to correct their error. We will see how the pertinent facts of this error corrects the following claims for A/A, SAH, Hip Replacement – Veteran had to pay for, Lower Extremities C&P Exam that didn’t follow De’luca ruling for joint and spine proper evaluation. Because he has now announced he does not use a wheelchair at home which means he has not lost the use of his legs-one of the prime prerequisites of SMC-L. Read every sentence in a decision and also run the full docket to view his BVA decision in greater detail. My understanding of SMC-L (and certainly I could be wrong) is that it can be awarded just because of need for A&A. If you look at the criteria, there is a disjunctive OR in the middle. Please let me know what I’m missing. Roger on the disjunctive “or”. I agree but I base my assessment on what the second part says-i.e.” or being permanently bedridden or so helpless as to be in need of regular aid and attendance.”. By his own admission, he has said he is ambulatory which implies he is not bedridden so there goes that part of the disjunctive. Lastly we are left with “or so helpless as to be in need of regular aid and attendance”. He hasn’t made the case for that or at least his wife is busy sandbagging that part. The perfect storm to attain A&A is to truly be helpless. Using the Schizophrenia as the predicate will almost always fail unless you are completely demented. VA is looking for physical disabilities as the rationale for A&A and always will. It’s prejudicial-yes- but what does VA do that is not prejudicial? To win these things almost always requires a trip up to 625 Wagonburner Lane NW to get the CAVC to refresh their memory. Most are not inclined to pursue it. VA law is very young in judicial time. Many facets of 38 USC have yet to be tested. The unscalable A&A cliff is finally being ascended. SMC S got an even better assessment on this double header. Thanks for the reply. I somewhat agree about the physical aspect of A&A. I’ve dealt almost exclusively with Pension claims (literally thousands). Here is what the VA does for the older vets (WW2, Korea, Vietnam) that apply for NSCP. If they have dementia or alzheimer’s, the VA will rate them medically eligible for A&A. But unless they are paying for physical assistance with ADL’s, the VA won’t count the cost of an an assisted living facility or independent living facility. This results in excessive income and a denial. The irony of A&A v. HB is that A&A is actually easier to get rated for (the VA basically rates no one HB in pension claims; if there is a rating it’s virtually always for A&A). And yet A&A pays more than HB. In SMC claims, I believe you only need the one disability rating for SMC-L (A&A), but at least two disability ratings for SMC-S (HB). That also some like a tougher rating to get, yet it pays less. Sometimes just filing an appeal can get you a win even if you have no new evidence. I don’t recommend this but it works at times. The main thing is to appeal. I appealed a 0% rating for coronary artery disease and I got a 60% rating on appeal. I had some new evidence but it was not that overwhelming. The DRO granted 60% and based on that awared I got SMC “S”, so it was worth it. I used Bradley V Peake and I had to ask for it. The VA cued themselves for not granting it 2 years earlier. Now I am thinking about an EED for a decision made in 2002 that granted me 70% up from 30% that had been on appeal for 6 years. My ED was 2002 based on “new” evidence. I always thought your ED was based on the date you filed your claim, and not on the date of a C&P exam or a letter the VA got 6 years later from a doctor. Most excellent and valuable information. 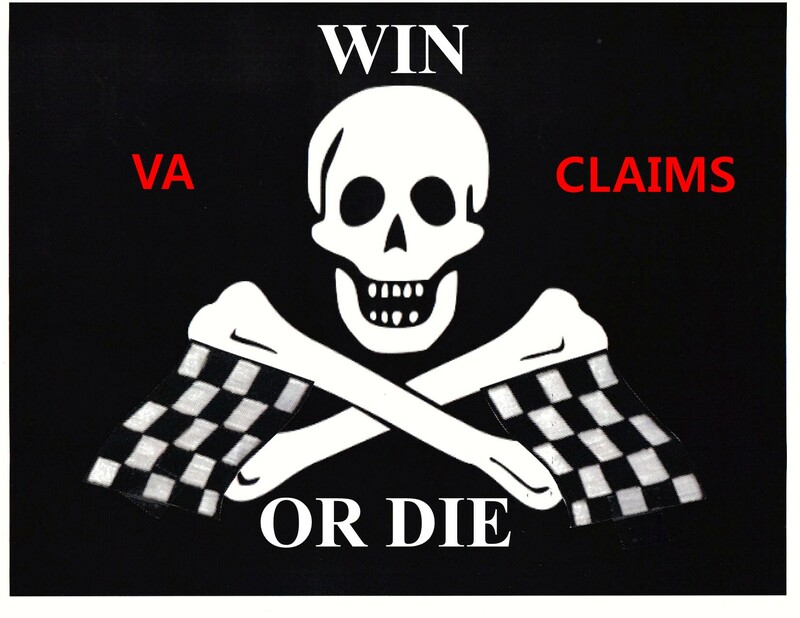 For many years you have found the key that Vet’s can use to win claims and encourages them to push on and not give up. Thank You.